Under suspicion, they took a duo into custody and investigated. Coimbatore: Police have arrested two persons for stocking and selling ‘ganja’ near Chinniyampalayam in suburbs of Coimbatore on Friday night. 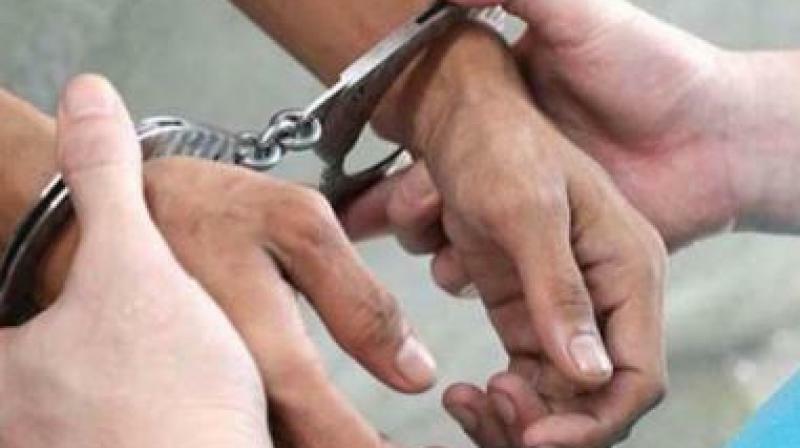 Police said, recently a gang of seven including a woman was arrested for allegedly peddling ganja from Andhra Pradesh and around Rs 20 lakh worth of ganja consignment was seized from the gang. Meanwhile, based on another tipoff, a team led by Peelamedu police inspector Selvaraj launched a raid at Chinniyampalayam area on Friday night. Under suspicion, they took a duo into custody and investigated. During preliminary investigation they reportedly admitted to the crime of stocking ganja and supplying to college students through brokers, police said. The duo was identified as Pandi alias Pal Pandi, 20, from Thanjavur Mariamman Kovil street and Muthiah, 33, from Chinniyamaplayam. Around 12-kg of ganja, a motorcycle, mobile phone and `3,000 was seized from the duo. They were made to appear before the court and lodged in Coimbatore Central prison.